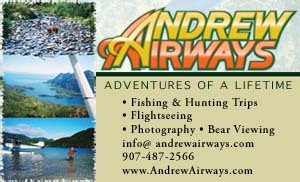 Location: Alaska Hwy, milepost 1225, approximately 300 miles from Whitehorse and Fairbanks. 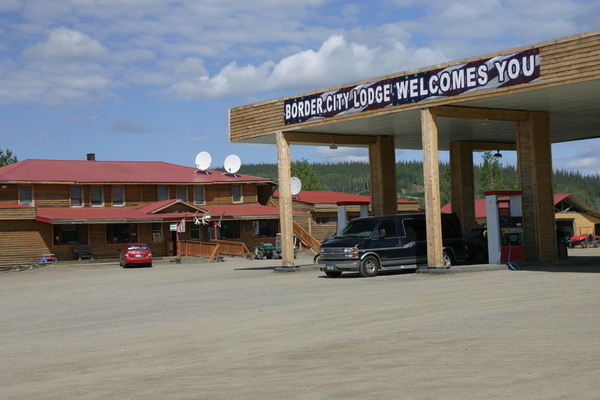 Border City consists of a lodge offering full service RV and tent camping sites, fuel and deli goods, located about three miles beyond the Alaska/Yukon border. 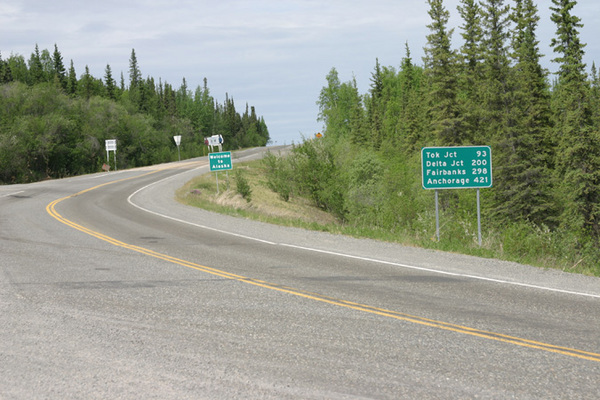 Entering Alaska's broad interior plateau, which extends from the Wrangell and Alaska Ranges to the Brooks Range in the northern part of the state, the Alaska Highway gradually descends alongside the Tanana River toward Fairbanks. 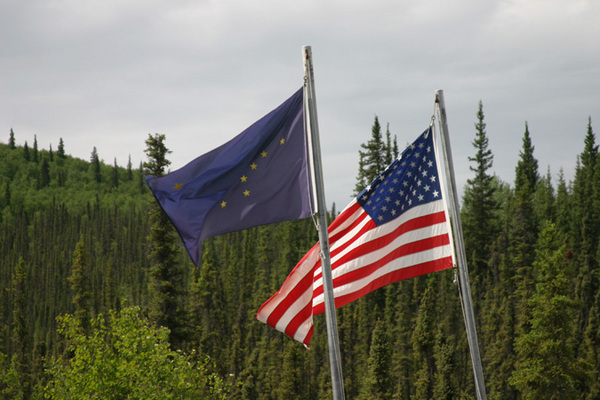 The Tetlin National Wildlife Refuge Visitor Center, located about 4 miles from Border City at milepost 1229, offers high quality interpretive displays on a variety of Alaskan habitats within the National Wildlife Refuge System. The Tetlin Refuge covers an area of 924,000 acres north of Wrangell-St. Elias National Park encompassing broad flat river basins, rolling hills, extensive marsh and lake complexes, the foothill areas of the Nutzotin and Mentasta Mountain Ranges and the two major glacial river systems forming the Tanana River.